Kristina does the Internets: Heat Wave! Oh hey there, happy Tuesday (aka, my Monday ;)!! I had yesterday off of work for President's Day, and as usual, I had big plans of accomplishing a lot, but ended up crossing one thing off the list and then spent the rest of the day shopping - whoops! I tried on a lot but only managed to buy one thing, but I took a lot of fitting room snaps so I think a little review is in order for tomorrow. At least I made it out of the house yesterday - the last time I had a three day weekend I ended up spending all of my Monday on the couch. I'm nothing if not an excellent couch potato. Of course, I basically had to go outside, because Chicago has been in the middle of a heat wave the past few days. Like a no coat, windows open kind of heat wave. It's absolutely nuts for this time of year in Chicago. 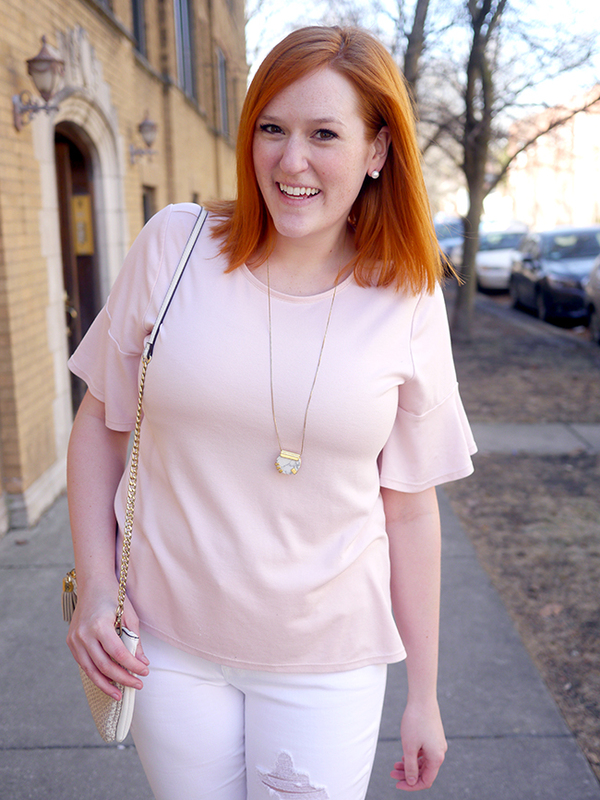 I basically had to pull out some of my warmer weather pieces, like these white jeans. Usually they wait at least another month to make their first appearance of the year! 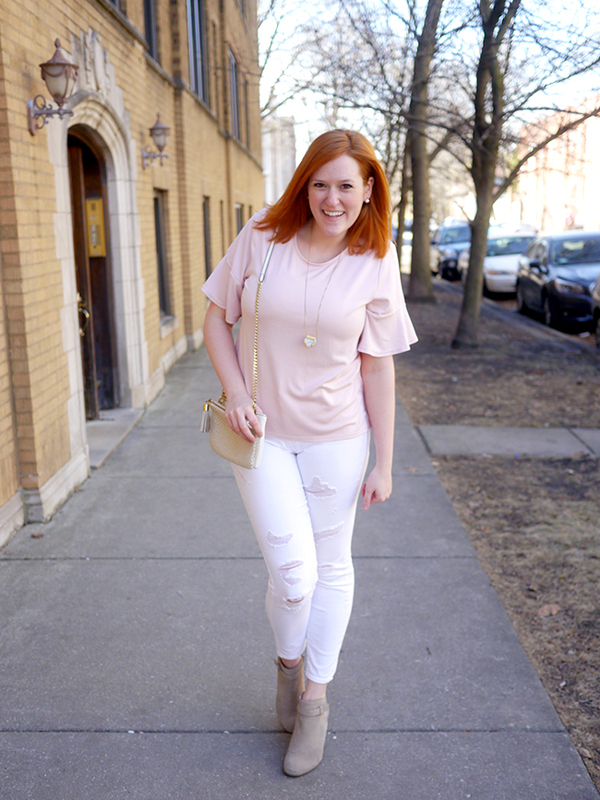 I actually only have one pair of white jeans in my closet right now but I'm thinking I need a backup - maybe this pair that claims to resist stains. 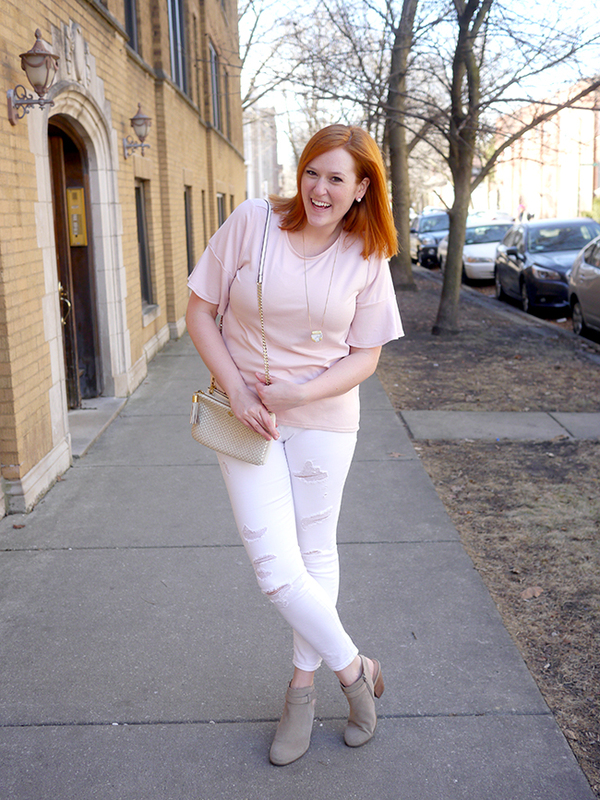 Because if you're wearing white jeans, it's basically a given that you'll spill something on yourself. Or that a strange dog will jump on you and leave muddy footprints behind, or that a guy will hit you with his bike tire, both things that have killed my white jeans in the past. RIP. 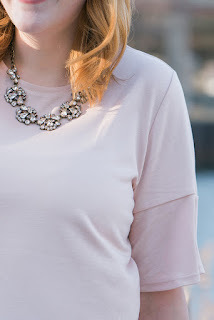 Linking up with Style Sessions, Style Me Wednesday, Confident Twosday.